This was my favourite brunch choice at Giraffe in Richmond, a fried egg, refried beans on a tortilla with salsa. The veggie option in Giraffe included mushrooms instead of chorizo. Since we moved we have tried to recreate this dish at home. Heat up a couple of tortillas and fry some eggs. 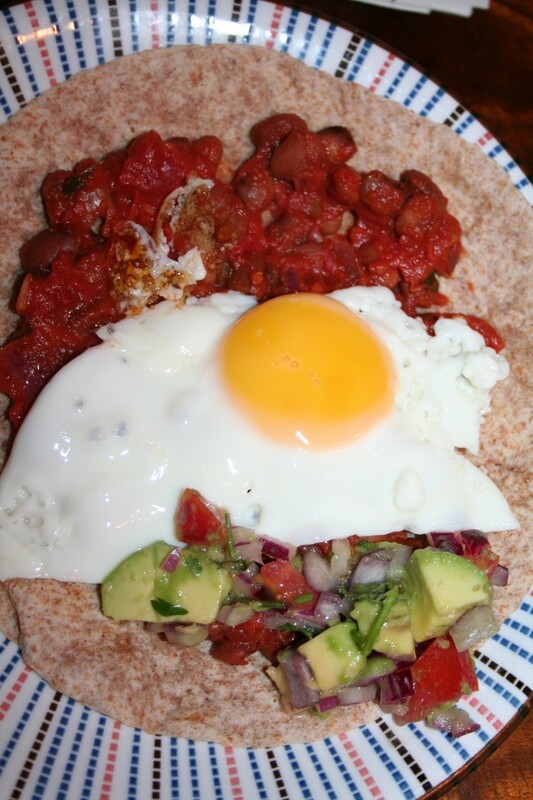 Once the eggs are cooked you are ready to eat, spread the beans over the tortilla lay a fried egg on top with salsa at the side.